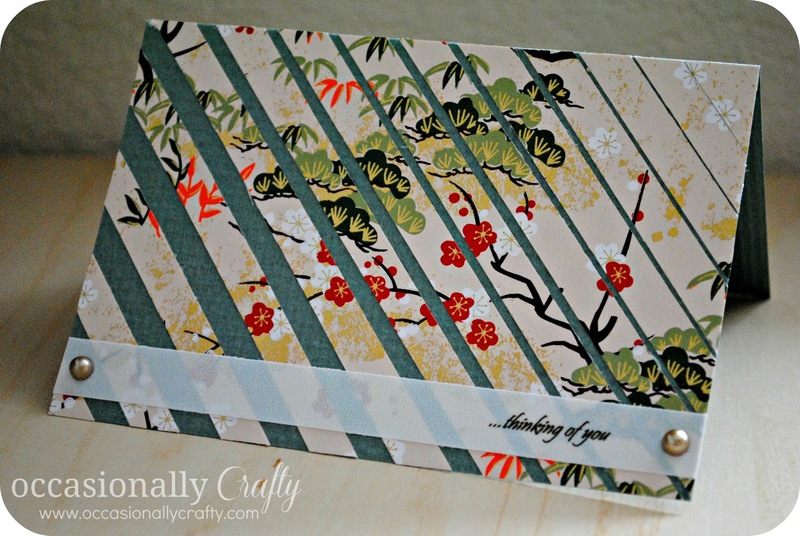 Washi Paper Card- and our new sponsor! | Occasionally Crafty: Washi Paper Card- and our new sponsor! Washi Paper Card- and our new sponsor! Valerie and I were recently contacted by the company WholePort. They sponsor blogs by sending different craft supplies each month and we get to try them out and feature them here! This was perfect timing for me because as the holidays wound down, I was wondering what to create next. Receiving these products in the mail was almost like a Project Runway moment for me. Here's what you get, now make something awesome out of it! I received quite a few things in the mail so this isn't the only WholePort post you'll see from me this month. I was able to tell them my category of interest, and first I chose paper crafting. Paper is what got me started with my craft life. I started scrapbooking, then I got a Silhouette which made so many other things become a possibility! Paper crafting is my number one love. So when I saw this pack of Washi Paper in the package they sent me, my mind started swimming with beautiful ideas. And finally after hours of creation, this beautiful card came to life. Wouldn't you love getting this in the mail? 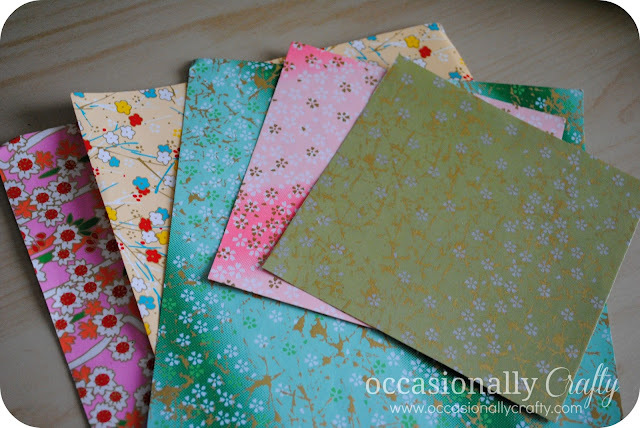 The washi paper is just beautiful, with shimmers of gold and a nice soft texture. 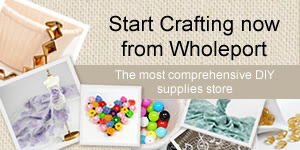 WholePort often has free samples and awesome sales with lots of different craft supplies to choose from. Be sure to check them out by clicking here.